Happy New Year to everyone! I’m still getting used to the fact that we are in 2014 and we’re already half way through January. The holidays flashed by far too quickly for me, but I guess that is the norm with holidays. They are never long enough. I promised myself that I would not bake and take a real break this year and surprisingly I was able to stick to it. I have to admit though, that I did miss the whirring of my KitchenAide mixer. We have so much planned for this year and I am beyond excited. Our Facebook page has also been buzzing with giveaways and over a hundred new likes in just one day. Lucky Robyn Francis was the winner of our mini give away for reaching the 250 like milestone and she will be getting a sneak peak at our launch box of the Macaron of the Month, which will be out in time for Valentines Day. We also gave out a Spirit prize to Linda Jansen Van Rensberg. Her effort in getting us to the 250 mark was phenomenal and we really felt she needed some recognition (and a few macarons too). I really wish we could give out prizes to everyone. 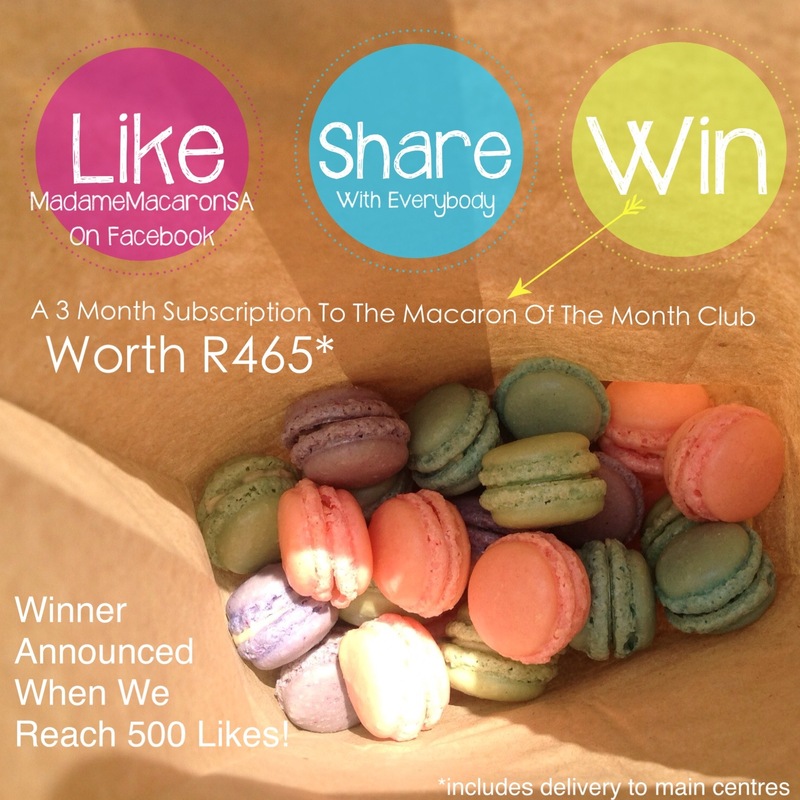 If you live in South Africa and you love macarons and would love to get a box of macarons delivered to your doorstep every month, you still have a chance to win a 3 month membership. Follow the instructions below and who knows you could be the next winner!